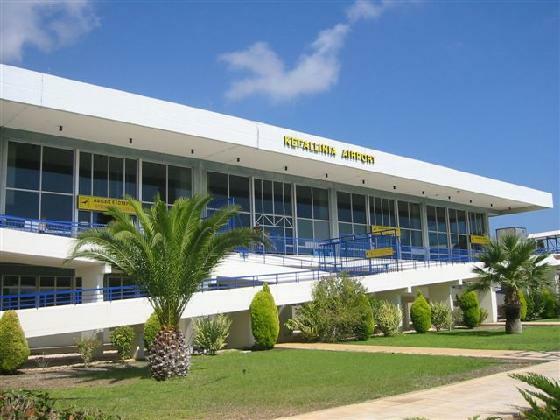 Kefalonia Airport the only one that serves the greek island is situated in Svoronata just 9 kilometres from the Argostoli which is the capital of the Island. The airport only has one terminal serving both incoming and outgoing flights. There is duty free shopping available and it has a gift shop and newsagents as well as several cafeterias and bars. There are no public buses that run from the airport so unless you have your transfers arranged you will be able to get one of the many taxis that are available outside the airport.